Memorials are important to me. As a historian I have always been fascinated with the story of the past. Events and People who were so significant to their contemporaries that a permanent marker was erected always capture my attention. 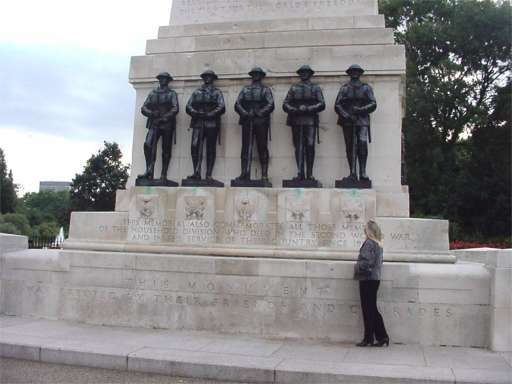 Somewhere inside, I believe it is my duty to try to remember them and what they did as a message to us in our times. 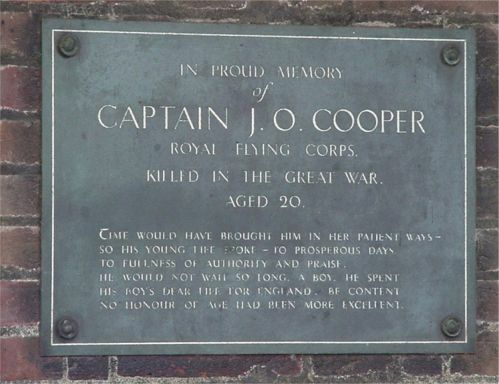 To me "Remembrance" is important not just of the few heroes, but of all the people who sacrificed for their goals. 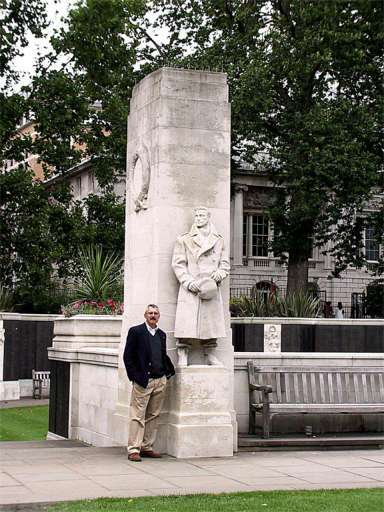 World War One is perhaps one of the most important, yet almost forgotten, wars of Western History. It was a combination of older nationalistic war, unequaled popular mobilization, massive technological changes and unparalleled heroics. 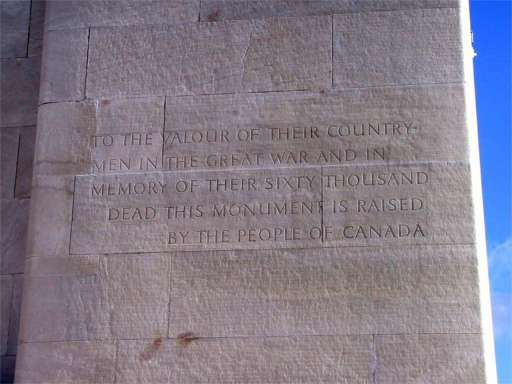 This is why most of the memorials here are from WWI. 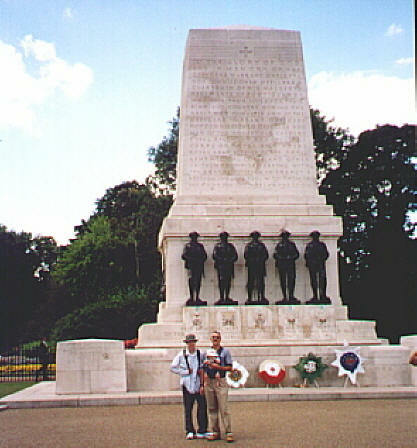 Memorials can be national. 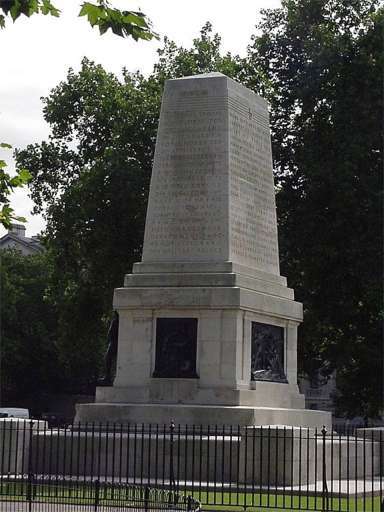 This is the official British monument to the WWI dead. 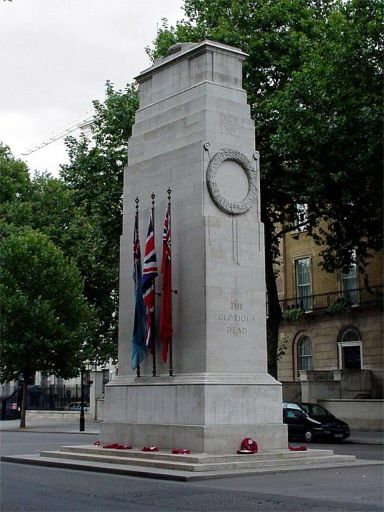 An entire society went to war in 1914 and the Britain that emerged in 1918 was not the same. 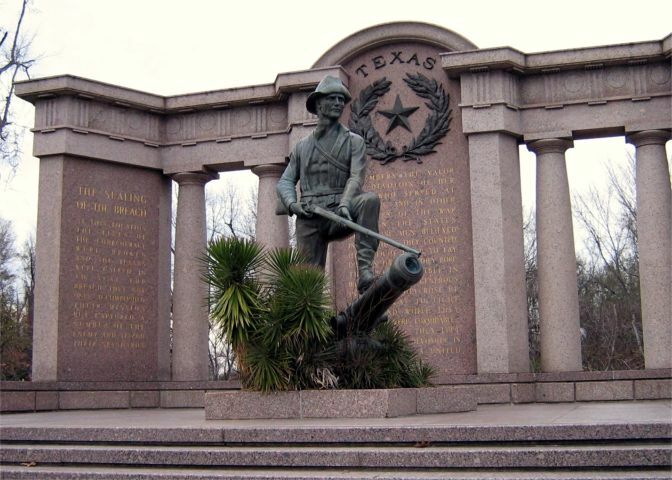 These men died for King and County, to save the world from German militarism and because it was their duty. 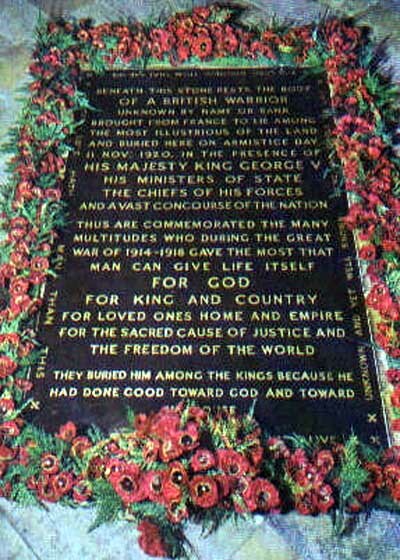 The inscription on the side says "Our Glorious Dead 1914 - 1918" It was unveiled shortly before the "Unknown Warrior" was laid to rest in Westminster Abbey. 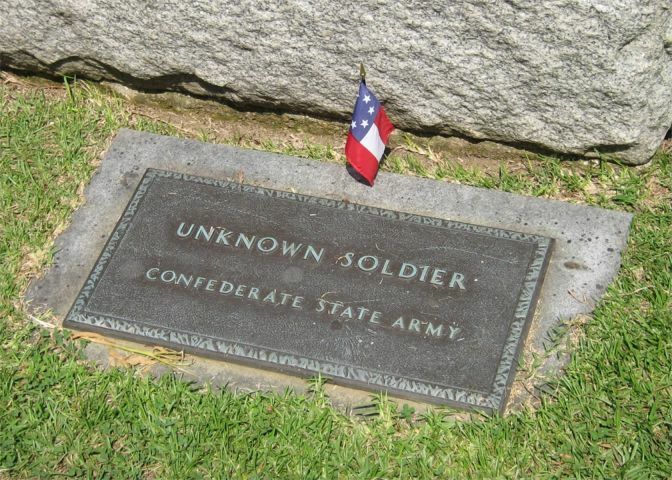 The British "Unknown" (though this soldier could be British, Irish, Canadian, Australian, South African or a New Zealander) is the only foreign soldier to be awarded the Congressional Medal of Honor by the United States. 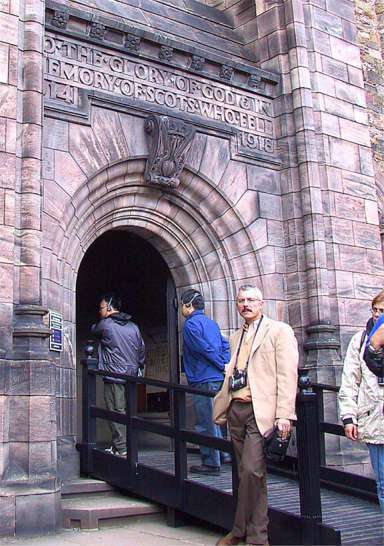 Scotland's national memorial was incredibly moving - listing every name of a Scot killed in WWI and since. 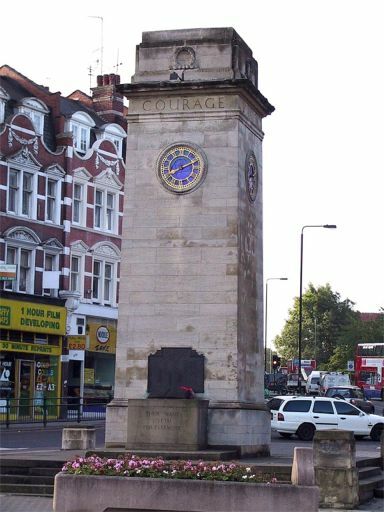 Memorials can be local, like this one to those that fell from the Golders Green section of London. They can be occupational; as are these from the corporate ancestor of today's Great Northern Rail Road in England and Scotland. 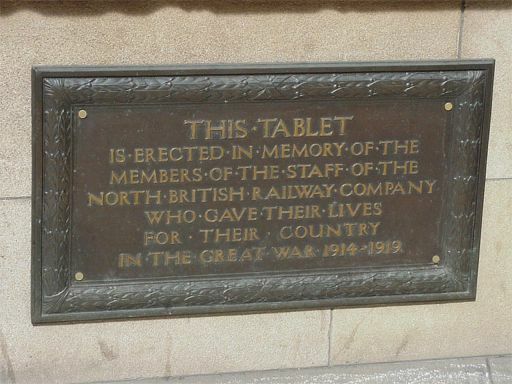 The first was in Kings Cross station in London and the second two were in Waverly Station in Edinburgh. 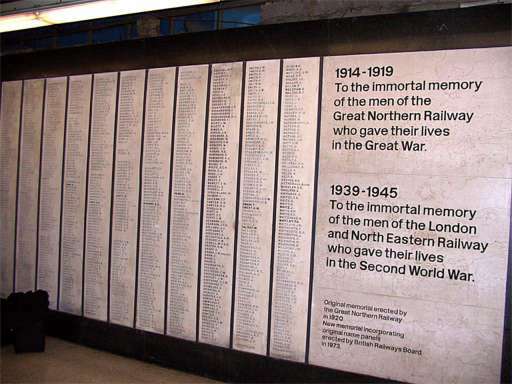 The fact that the WWII names were added afterwards and are always shorter lists shows the impact of WWI on the company and society. They can also be personal. 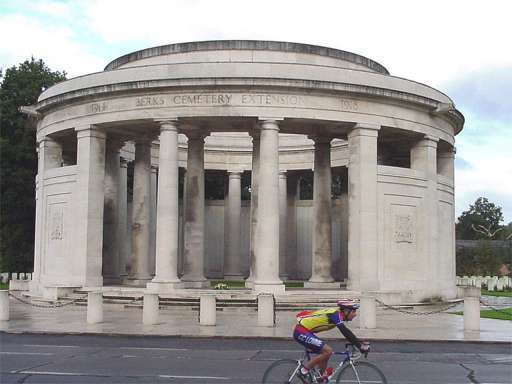 One particularly moving monument was the one to the 55,000 dead of the Royal Artillery during WWI. Aside from the battle honors along the top is the inscription "A Royal Fellowship" ... of effort, of result and the fellowship of death. 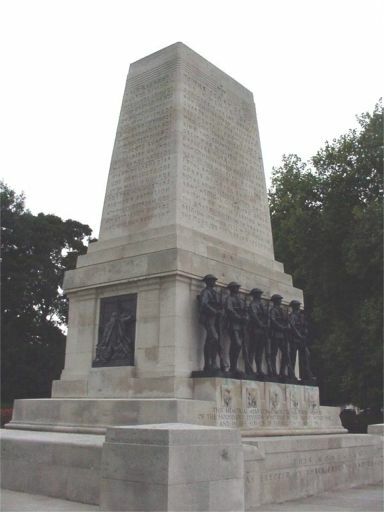 The Guards monument at Horse Guards' grounds is a monument to the men of all 5 Guards Regiments (Grenadier, Coldstream, Scots, Irish and Welsh) that died during WWI. 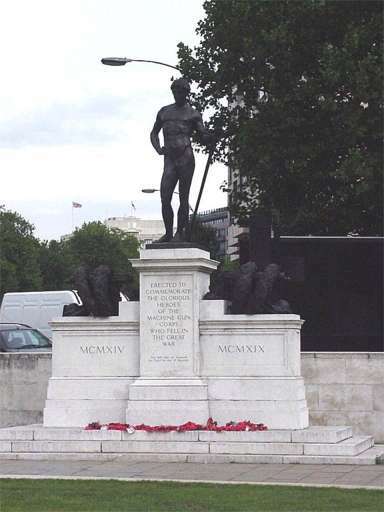 They were the flower of the British professional army, performed above and beyond any other group of infantry simply because it was their heritage, duty and, frankly, their job. Thus, they are worthy of our admiration and respect. 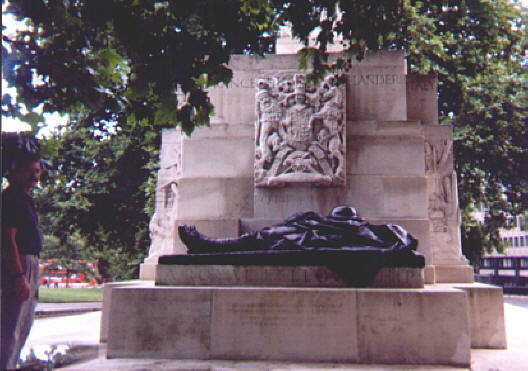 Perhaps one of the most emotional monuments in London was this one to the fallen Canadian troops of both WWI and WWII. It symbolizes the rain (God's tears?) 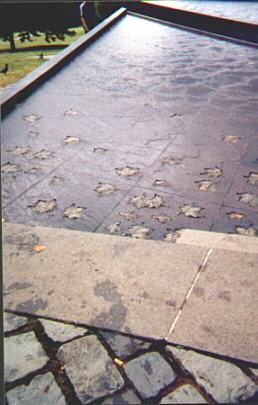 covering fallen maple leaves. 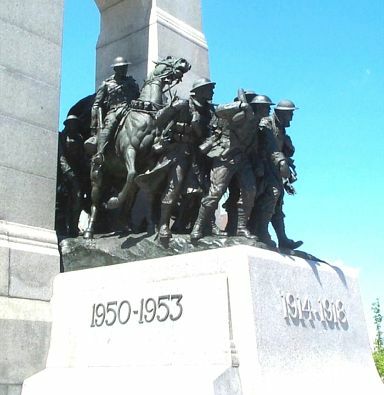 Canada sent over a million troops to defend our way of life ... not so much from self-interest but from the honor and duty as being a part of the Empire or, in WWII, the British Commonwealth of Nations. 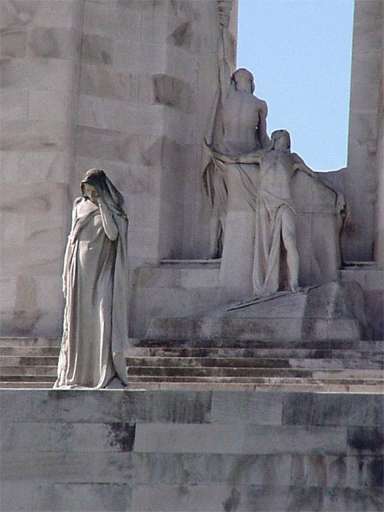 Memorials evoke images of past and future. 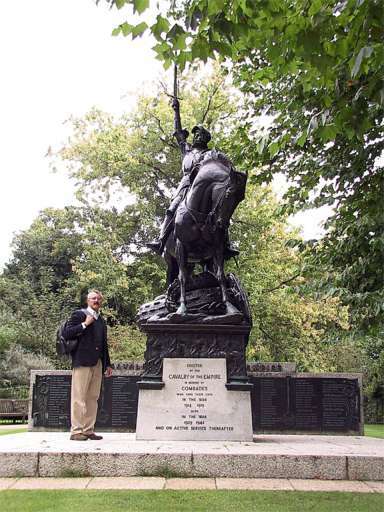 The Cavalry Memorial is of St. George slaying the dragon while the Machine Gunners memorial heralds the future though cloaked in classical imagery. 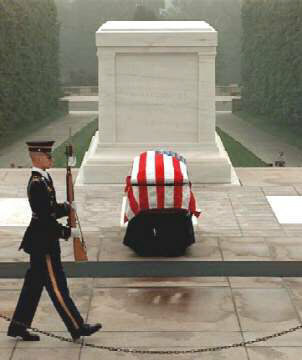 One doesn't need to be a soldier or sailor to lose their life in a war effort. 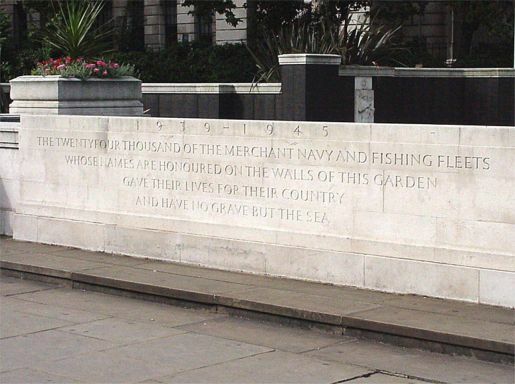 Here is the monument to the Merchant Mariners who lost their life in WWI keeping Great Britain alive. It was their efforts that probably made victory possible. 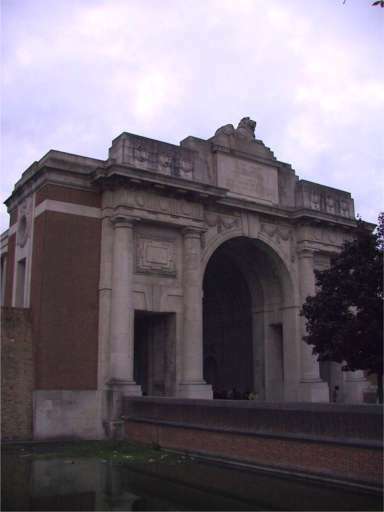 Ypres, Belgium was the scene of three major campaigns fought between British Empire troops (in general) and the Germans in WWI. Roughly a third of all Empire deaths suffered throughout the war happened there. It is also the symbol of WWI - Trenches, mud, "moonscape" topography and incredible bravery in the face of overwhelming war technology. The area, in itself, is a good example of what War brings - good and bad. 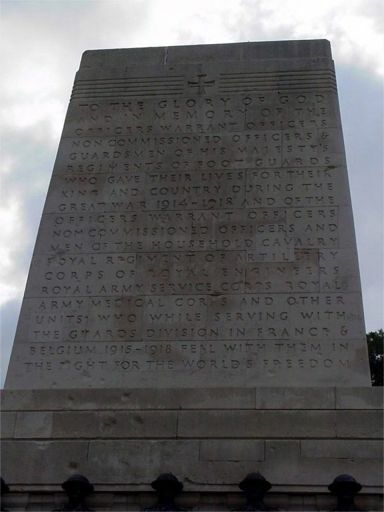 Tyne Cot is the most impressive Commonwealth War Graves Commission Cemetery in the Ypres area. 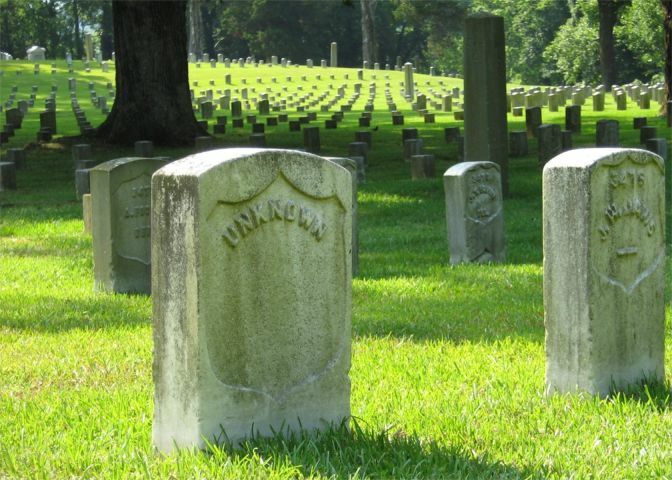 It is both a cemetery and a memorial. 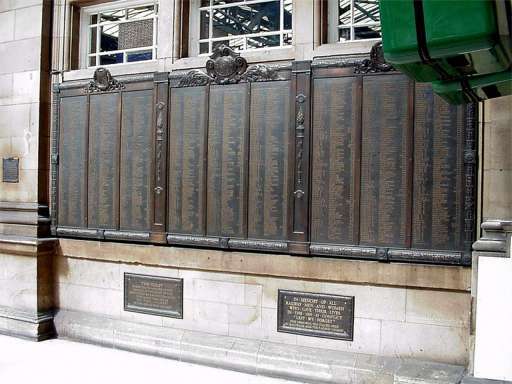 On the walls around it are names of an additional 32, 000 British and Empire troops who are still missing. 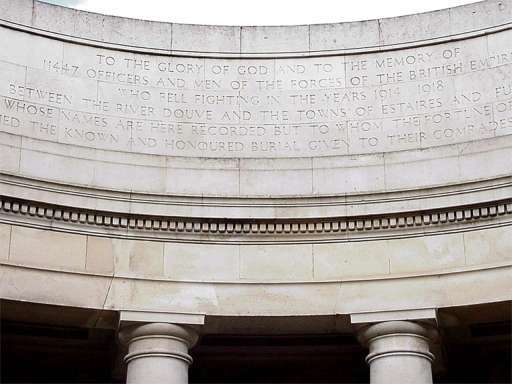 The Commission is dedicated that each soldier who fell be remembered - personally, by name somewhere relevant to their service. They continue to do this now - 85 years after the war. 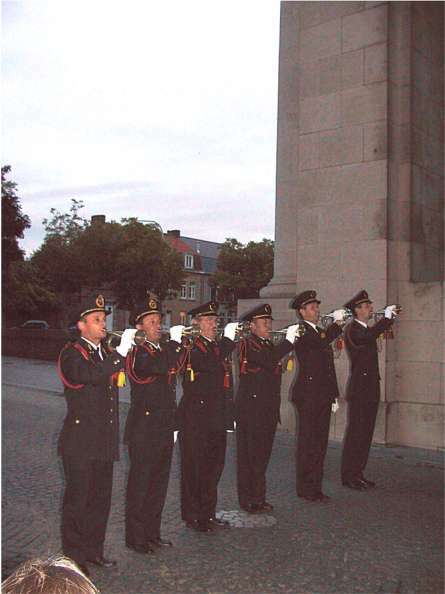 Gas, as a lethal, modern weapon was first used by the Germans at Ypres. 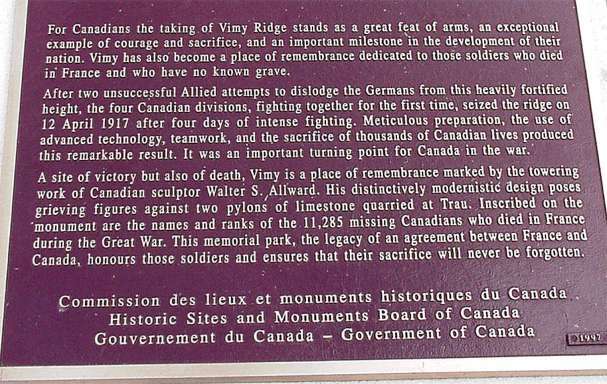 The line was broken and defeat seemed assured until the Canadians, after traveling thousands of miles from their homes to fight Britain's war - volunteers of duty and homeland - secured the line. At Hill 60 British and German miners both battled it out underground - and lie there still. 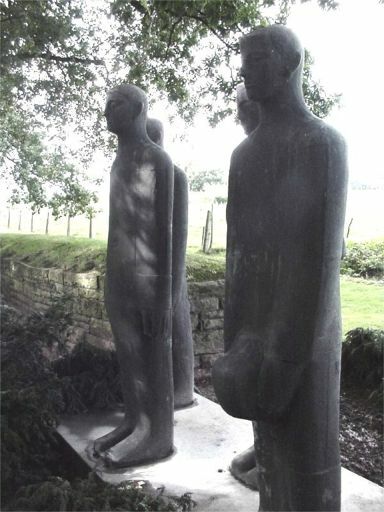 Germans, also memorialize their dead in these statues placed during the pre-Nazi 1930s. 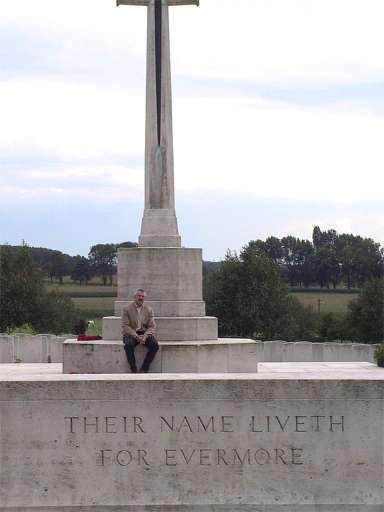 Langemark Cemetery holds over 40,000 dead in an area a little less than an acre. 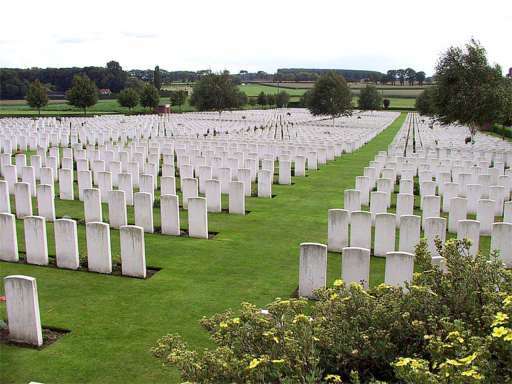 The British avenue of attack during the Hooge action of 1915, is now the hill where their graves lie. 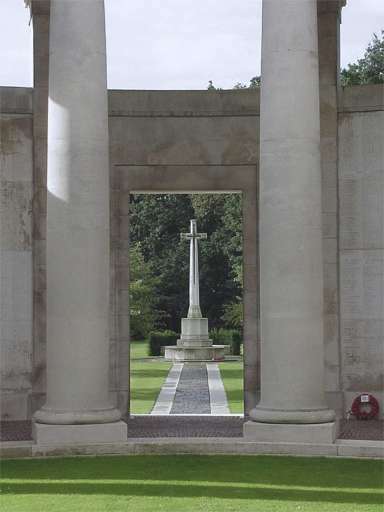 The cemetery brings the full impact of WWI into perspective. In 1914 both Germans and British ceased the war and had their famous "Christmas Truce" near Hyde Park Cemetery in northern France. Across the street is this monument to the missing. Canada was a very small and rural country in 1914. As a nation, they rallied to their motherland's defense during WWI. 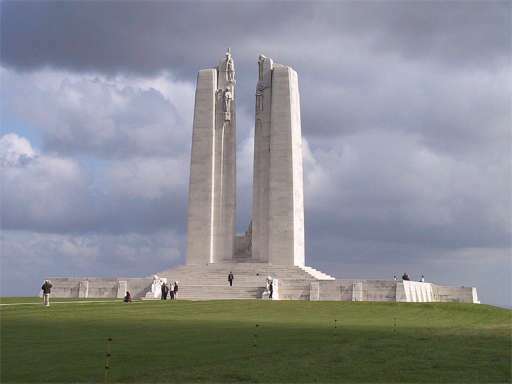 At Vimy, France, they had their first, unified, Victory in the attack of Vimy Ridge in 1917. The area is now part of Canada and staffed by Canadian volunteers. 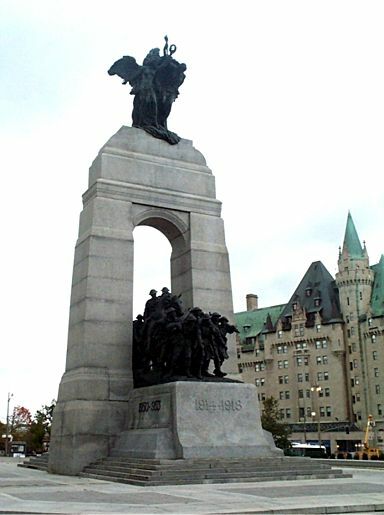 It is, perhaps, one of the most stirring monuments raised by a nation for its fallen sons. 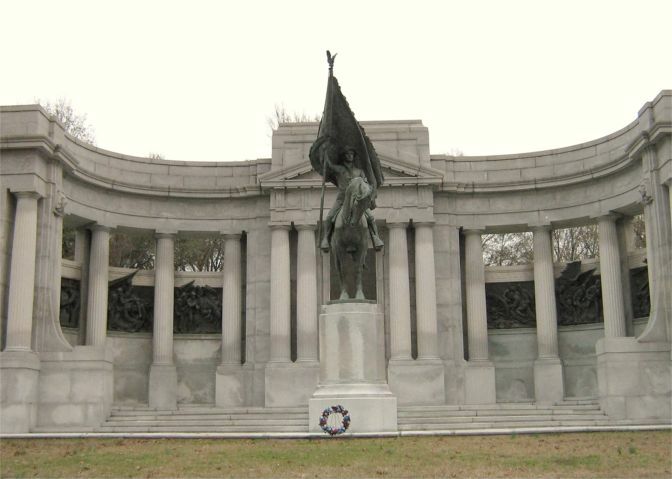 In Nashville, on an engagement, I found this monument to those who fell in WWI from Davis County, Tennessee. 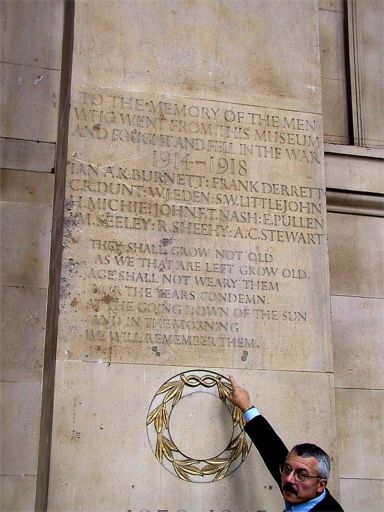 It reads "They did their best to make the world better" and was raised in 1923. 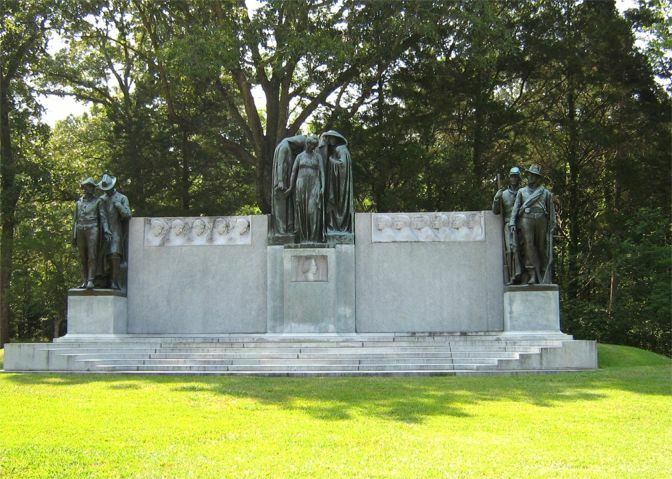 More than a hundred men died from Nashville area. 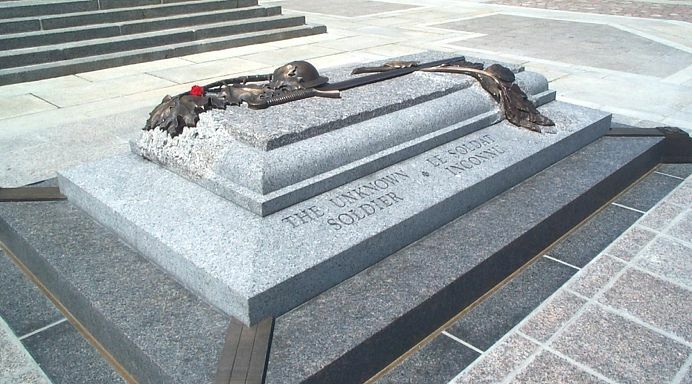 Finally, one can not help to mention our own "Unknown" ... even though the government bowed to popular pressure and desecrated the concept for the Viet Nam war participant by genetically determining his name, the concept that all who died and were not found, will not be forgotten is a very strong one for me. 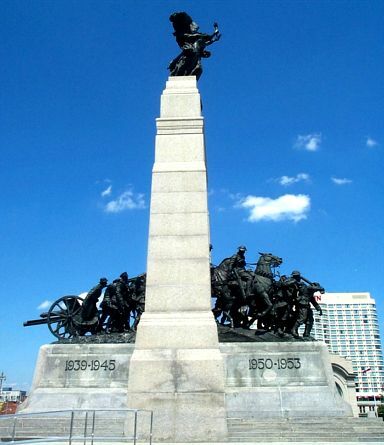 Canada's National War Monument is very impressive. 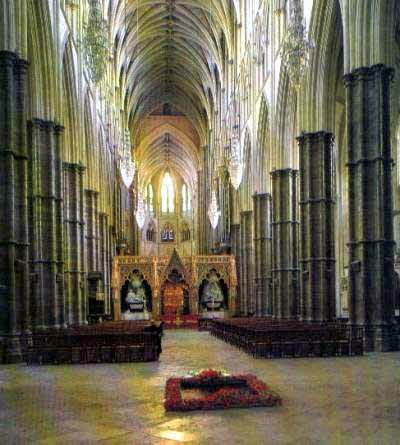 I have visited it several times. 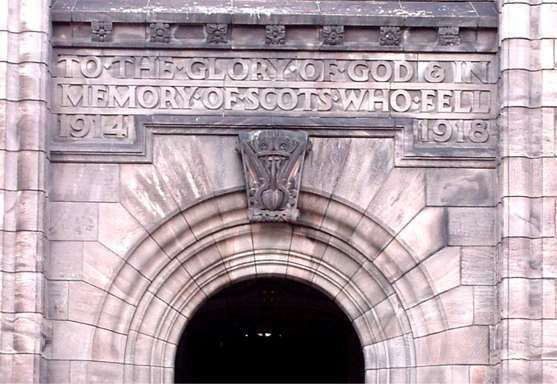 Originally built to commemorate the soldiers who died in WWI. It has been since "widened" to include WWII and Korea. 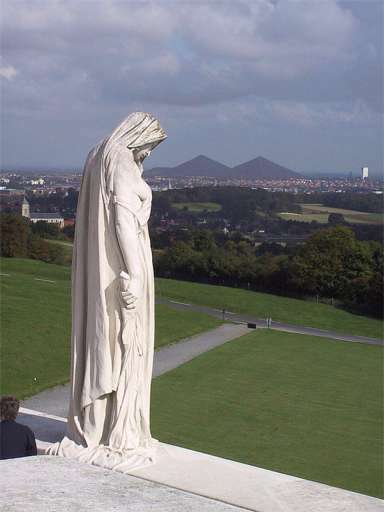 Recently, they moved an "unknown" from Vimy to Ottawa. 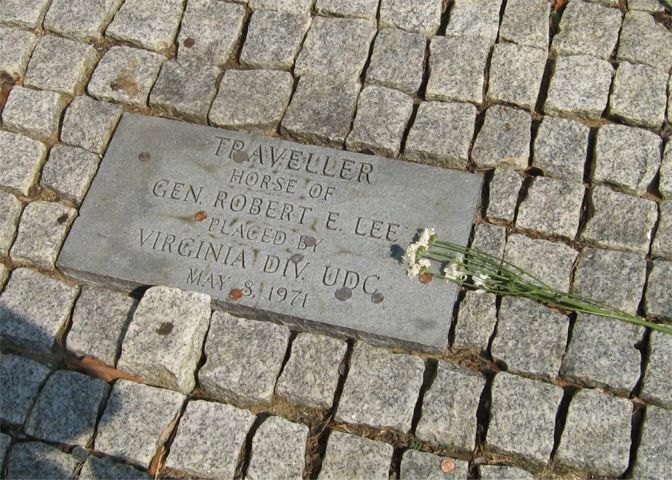 As a boy, this was the memorial that touched off my interest in Lee. It stands at the starting place for Faulkner's highpoint of "Southern Hopes and Dreams..." known as Pickett's Charge. 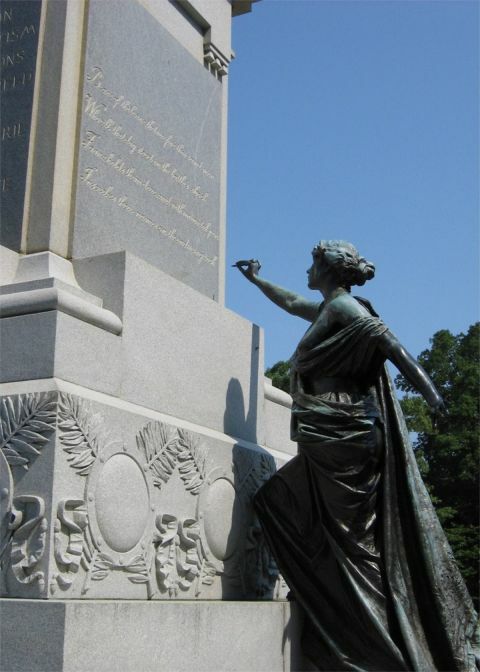 The Virginia Memorial is about men (according to family legend, my grandfather's three brothers died in this charge) doing their duty; albeit for a forlorn cause. I walked from this point to the "bloody angle" or the high-water mark of the Confederacy .. the path of Pickett's charge. 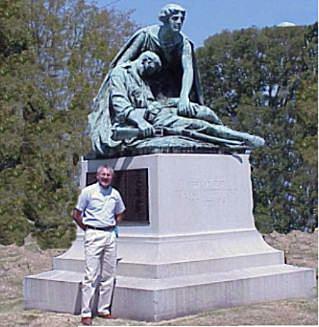 The memorial stirs the soul and reminds us of dedicated men going forth without concern for personal well-being or their personal needs. 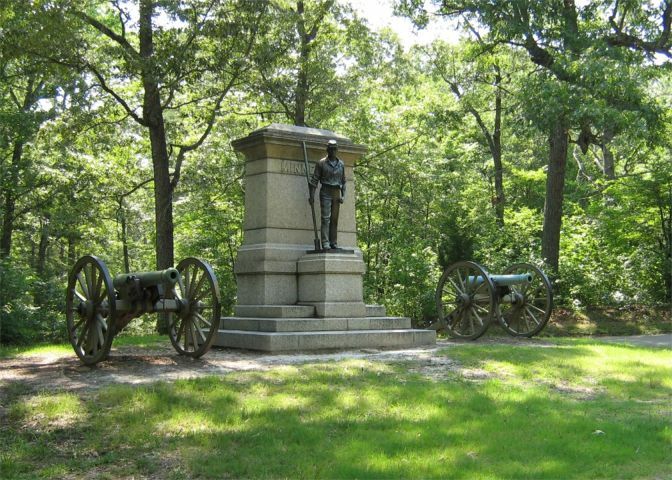 Our first visit to Shilo was in 2006 on our way to a Civil War seminar. 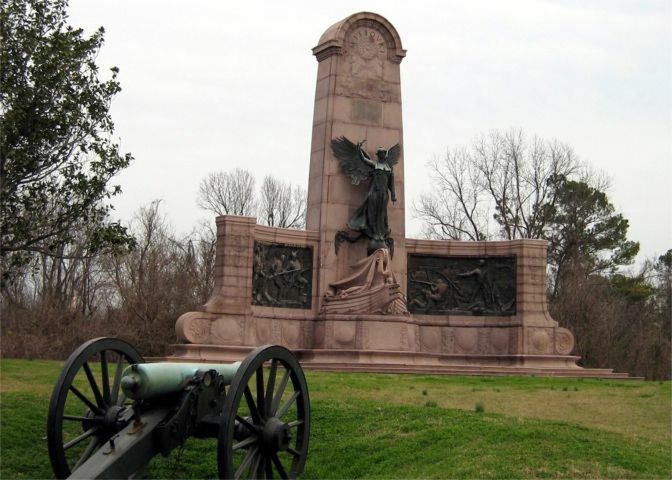 A little visit to Vicksburg battlefield in January 2007. 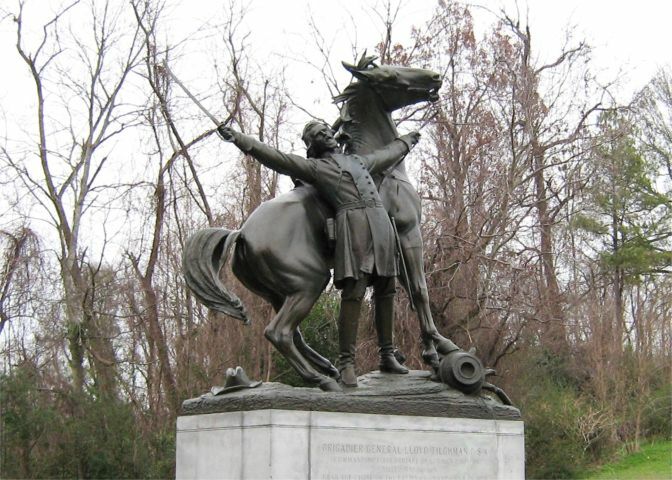 It seemed very strange that so many died in something that really was a forgone conclusion - the battle, anyway.